The road ahead may be paved with big competition for the Kentucky Wildcats, but it won't cost fans much to travel down it. John Calipari and Co. have mixed-and-matched their way to a 9-1 record at the midway point of December, calling on the likes of De'Aaron Fox, Malik Monk, Isaiah Briscoe and Bam Adebayo to get them them there. What's been missing is a solidified starter in the four-spot, however, which senior Derek Willis and freshman Wenyen Gabriel have battled for through the Wildcats' first 10 games. They'll hope to find an answer soon as they take on North Carolina and Louisville in back-to-back games over the next week. And for fans with interest in attending an upcoming game, Kentucky tickets are among the cheapest of the season. The Wildcats will participated in this season's CBS Sports Classic at T-Mobile Arena, where they'll face the 10-1 Tar Heels on Saturday. 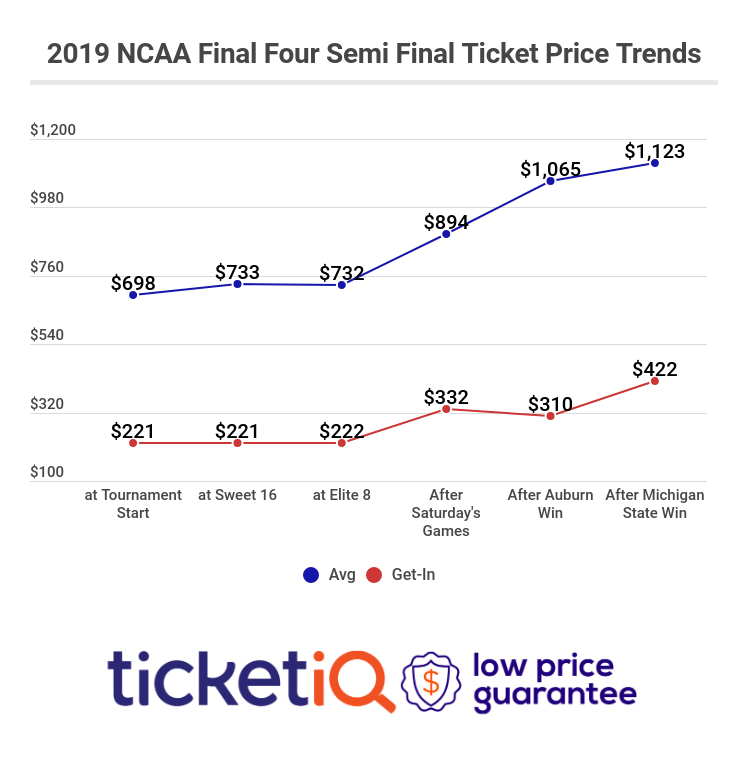 Those headed to the day-long tournament, which also features a matchup between UCLA and Ohio State, will find CBS Sports Classic tickets on TicketIQ averaging $185.17. That makes it one of Kentucky's seventh cheapest games this season (a January 17 road matchup with Mississippi State is the cheapest at a $110 average). If looking just to get past the gates at T-Mobile Arena the cheapest tickets are currently priced from $41 each. Such price points can be considered a steal, as tickets also include access to the UCLA-Ohio State matchup. The Wildcats will then travel to Louisville to take on the Cardinals next Wednesday. After a dominant start to the season the Cardinals have struggled as of late, dropping two of their last three including a three-point loss to the Wildcats. They'll reconvene for the second and final time this season next week, where tickets are averaging $192.88 and the get-in price is $124 at KFC Yum! Center. It will be the eighth cheapest Kentucky game this season. For the best deals on Kentucky tickets to all Wildcats games this season, make sure to download the TicketIQ app. Our app helps fans save up to 10 percent on all IQ Certified listings and offers the most transparent buying experience in the marketplace. Download the TicketIQ app and start saving today!